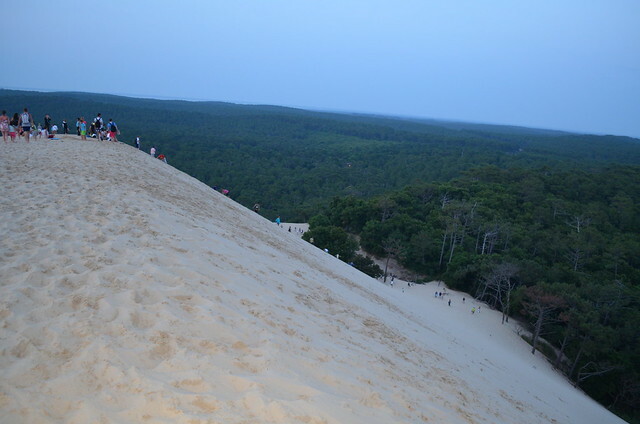 What began as a simple search for a nice spot to spend a few days on the southwestern coast of France turned into an opportunity to visit one of the most amazing beaches I have ever seen: the Great Dune of Pyla. 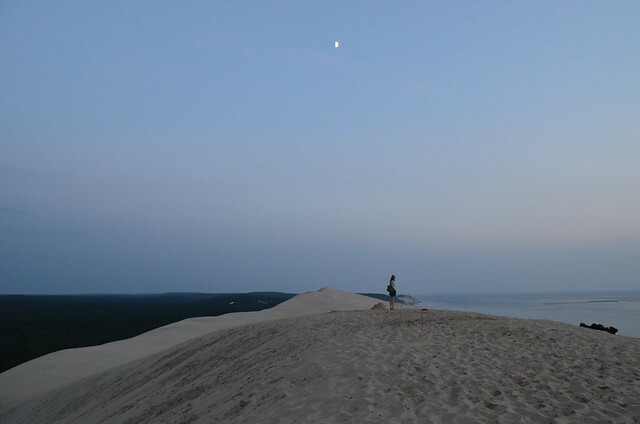 On several of those 'places you didn't know you needed to visit' lists, this dune could easily be a wonder of the world. 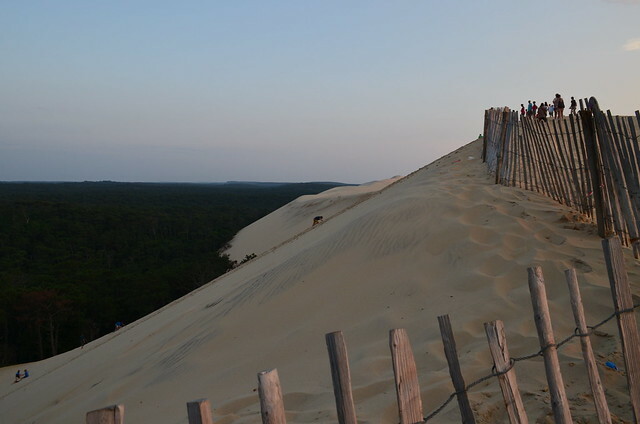 The highest sand dune in Europe, at 110 meters/about 360 feet high and 500 meters/nearly a third of a mile wide, moves inland at a rate of one to five meters a year, swallowing forest, houses and parts of the Atlantic Wall (coastal fortifications built by Nazi Germany during the Second World War). 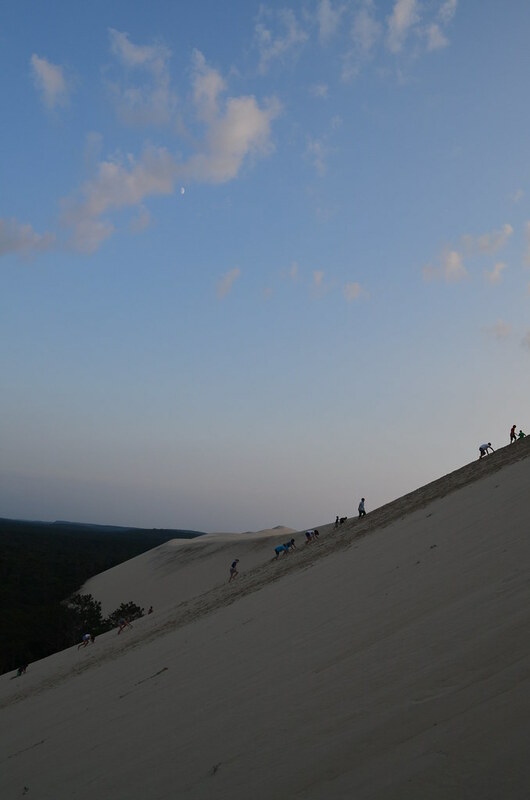 To give you an idea of its recent growth, it was only 35 meters/114 feet high in 1855. 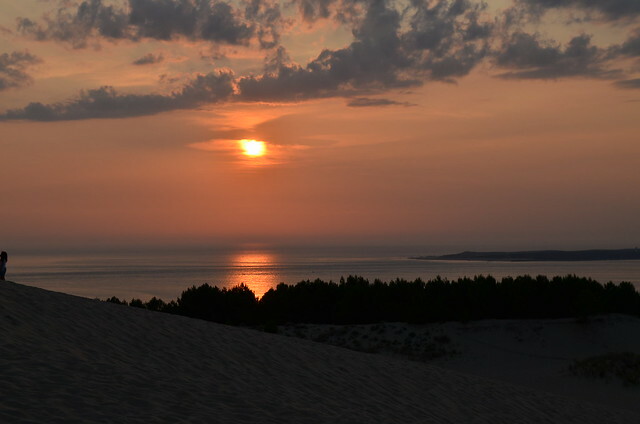 We decided to visit one evening during our stay in the area, figuring sunset from the dune was going to be pretty fantastic. 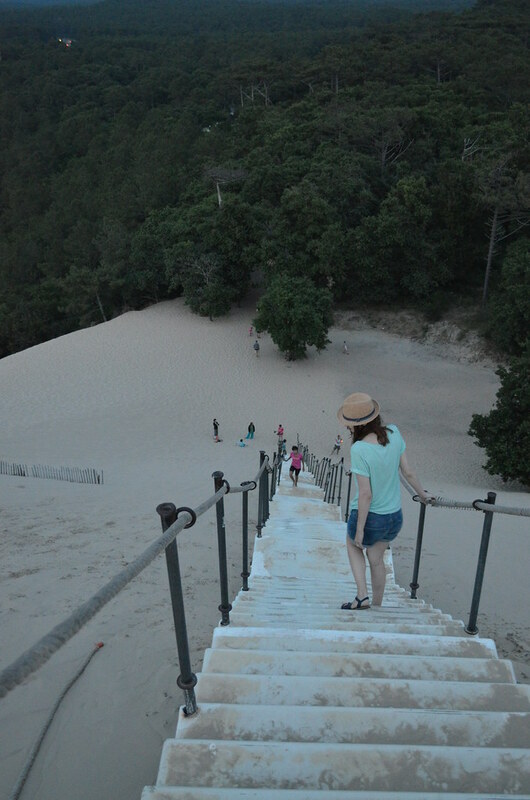 After the tilting, fun house-like 154 steps up to the top, we were not disappointed. Not only was the height staggering, but the views on both sides were equally stunning. 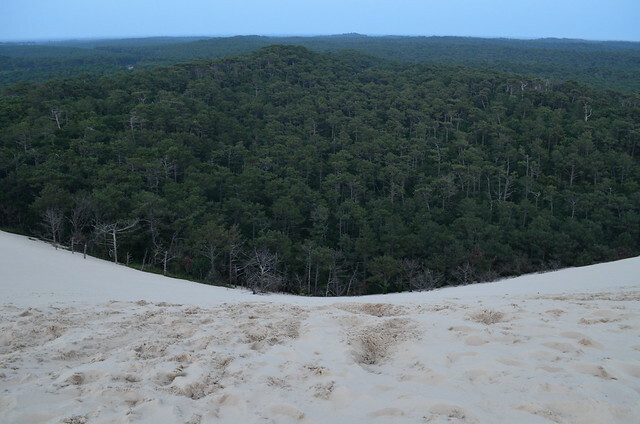 The Bay of Arcachon and a dreamy sunset to the west, then this half-buried, seemingly-endless pine forest to the east. It was the kind of natural beauty in all its unfathomable glory that nearly brings tears to your eyes. 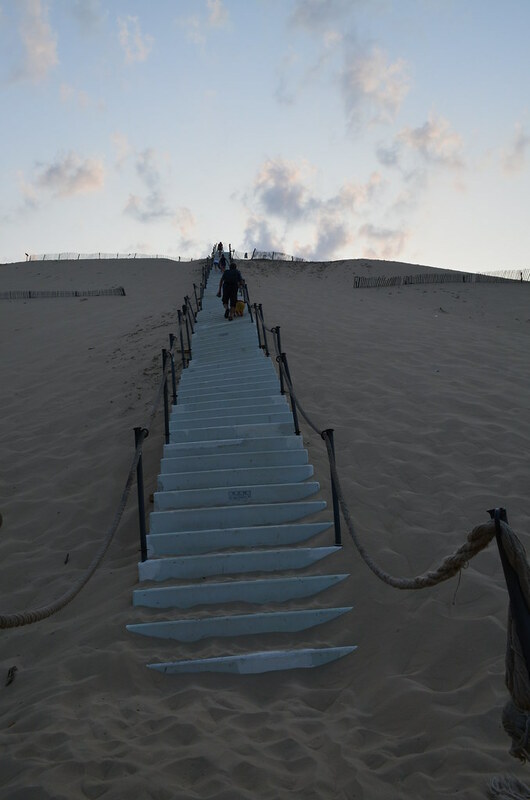 After a spectacular sunset, countless pictures and watching thrill seekers jump and run full force down the side of the dune, we begrudgingly headed back to our hotel, with the dune's beauty forever imprinted on our memories. How lovely. I love a surprise highlight and an off-beat location. Added to my "to-go" list! Ah, my backyard! Glad you enjoyed it, beautiful photos! 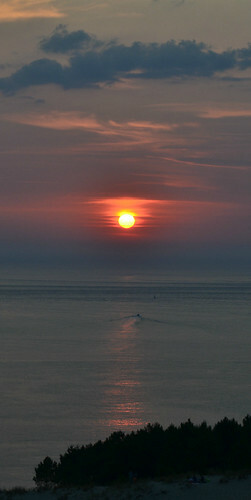 You were smart to go at sunset! It's our number 1 must see for our guests! 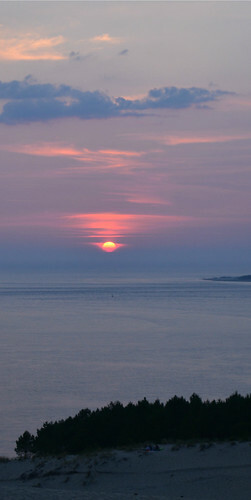 Wow, visiting for the sunset was definitely worth it! 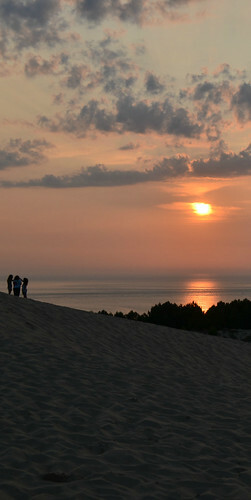 Nice photos of this amazing place, you are absolutely right! 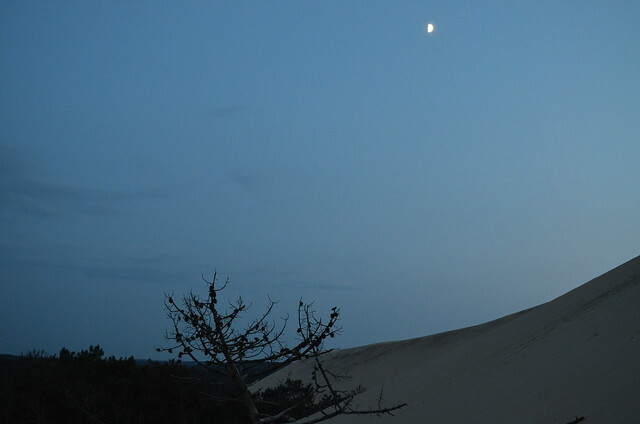 "It was the kind of natural beauty in all its unfathomable glory that nearly brings tears to your eyes." For our guests, it's also the number 1 must see in the region, Bordeaux with its Miroir d'eau comes 2nd! 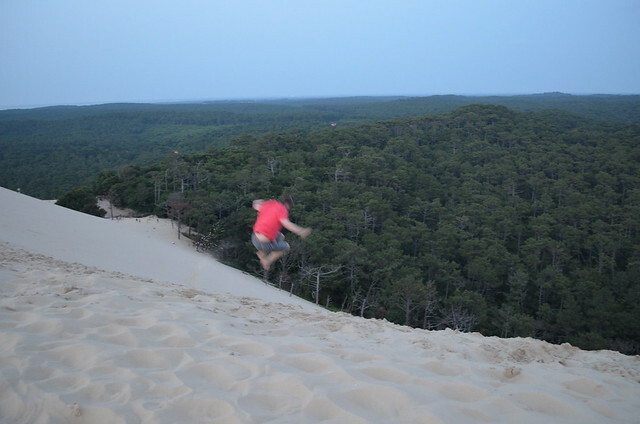 After seeing your pics on Instagram about this dune, I wanted to see your post! WOW!!! It will be on my list of things to see (rather soon). What an amazing place!